Are You a Professional Woman and Mother to a Special Needs Child? This is For You. Whether you just found out that your baby has special needs, you’ve just found your mommy sea legs after years of caring for your child with special needs, or something in between, the Mindful Return e-course, Balancing Career With A Special Needs Baby, is for you. In this go-at-your-own-pace program, you will learn how to successfully navigate the path toward becoming a working mom of a premature, intellectually or developmentally disabled, and/or medically fragile infant or toddler. Surprising, isn’t it? We thought so too. Until now, mothers of special needs kids have not had access to a network of women that encourages and offers tactical guidance to women who want a career and have a special needs child. So, we created one. It doesn’t matter whether you sit in a corner office or a home office, working only during nap times, the guidance offered here is second-to-none. Do these thoughts cross your mind while you drive to a doctor’s appointment or rock your baby at 2 a.m.? Sometimes I just really wish my kid was ‘typical.’ Does that make me a bad mother? There are just too many specialist appointments involved with parenting a special needs child. Will I ever be able to make a career work while juggling them all? If I ask for flexible scheduling, will I have to sacrifice career growth? Other people may think they know what it’s like to raise a special needs child, but they don’t. Where are the moms who understand? Is it possible to be successful at work while still being the kind of mother my child needs me to be? We want you to know that we hear you, mama, and you’re not alone. These thoughts are completely normal. Not only that, but we’re fairly certain another woman raising a special needs child is thinking at least one of them at this exact moment. Mindful Return’s Balancing Career with a Special Needs Baby is a program designed specifically for career-minded women who have gone through the transformative experience of having or adopting a special needs baby or toddler. These children require extra love and attention. Sound familiar? Keep reading because this is for you. This program is designed to leave you feeling more relaxed while simultaneously more empowered. 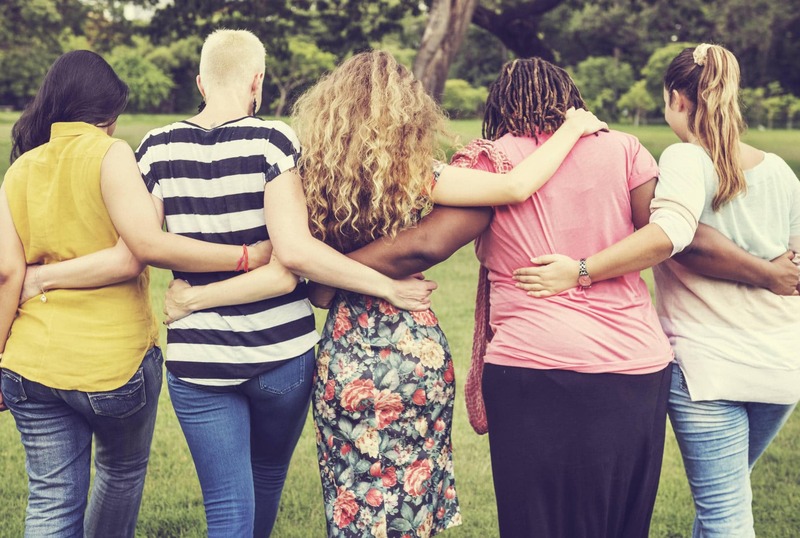 It’s created to connect you with other women who have walked a similar journey as you’re experiencing now. Through each lesson and conversation, you’ll start to feel encouraged and inspired that it truly is possible to have it all. We’ll show you how to negotiate for flexibility, plan complex logistics, and find real balance between both demanding roles. Throughout it all, you’ll be surrounded by a community of other working moms of special needs kiddos who can offer a truly empathetic ear, as well as unique insight into pursuing a career with a special needs child. This is More Than an E-Course. It’s an Experience You Can’t Find Anywhere Else. Mindful Return’s course for career-minded mothers of special needs children is the brain child of two women who have walked the walk. 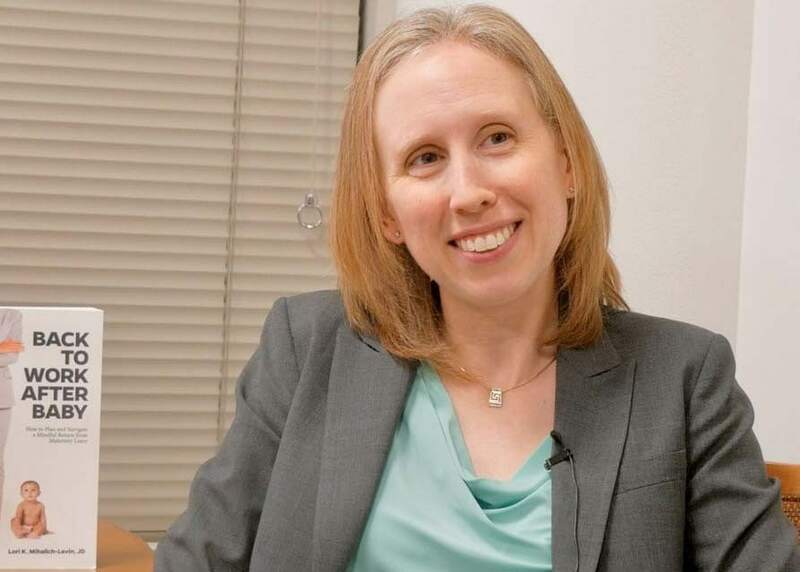 Lori Mihalich-Levin is a lawyer with two young children of her own. She has experienced first-hand the challenges that come with returning to work after maternity leave. Mia Durairaj is a writing consultant with two medically fragile twin toddlers. 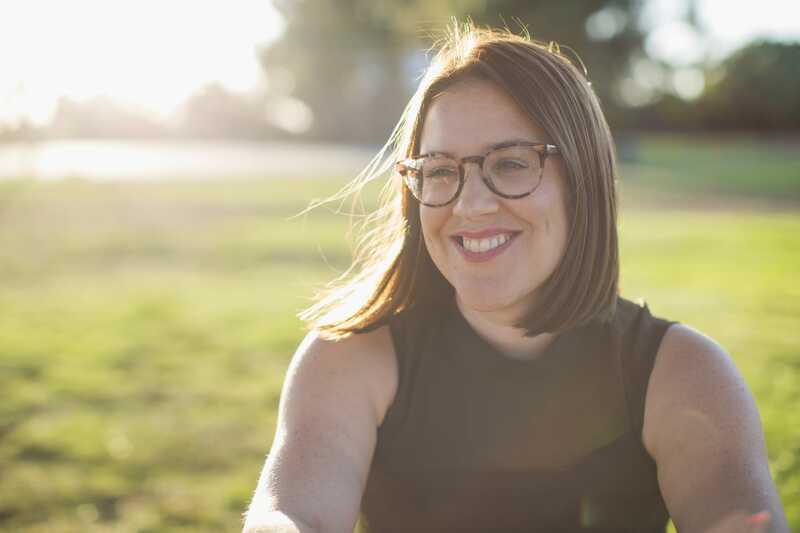 At first she assumed her career in health communications was over, so she decided to start a small consulting business during her children’s nap times. As that consulting business grew, she found herself with more flexibility to attend all of her children’s appointments without sacrificing the career she loves. In addition to the expert guidance and support from Lori, Mia, and the group of guest authors, you’ll also find inspiration and support from a private community of moms who have walked or are walking in your shoes. This community gives you the chance to ask private questions, get real answers, and sleep better at night, knowing other working moms of special needs children have your back. This community will put wind in your sails, helping you lead, grow, and thrive in your new role. You’re busy, and the last thing you want to do is add another thing to your to do list. We get it, which is why we’ve made it as easy as possible to access the material you crave. Take the online class on your schedule and in the comfort of your yoga pants. Read the material while feeding your baby or sitting down (for once) with a hot cup of coffee during naptime. An unbelievably supportive, private community of other special needs moms with a career mindset. Around here, things are casual, comfortable, and most of all, convenient. But don’t mistake that for lacking power and efficacy. We’re simultaneously giving you relief while building your confidence. Can Moms of Special Needs Kids be Leaders? Mindful Return’s Balancing a Career with a Special Needs Baby Course is a wonderful tool to help moms who are wanting or needing a career but unsure of how to juggle all that comes with parenting a child with special needs. The course is easy to use and addresses important and relevant topics that are practical for managing everyday life. I am so thankful to have had the opportunity to take the course and would highly recommend it! Indefinite access to a private Facebook group exclusively for special needs moms. Many employers cover the cost of this course! Ask yours if this is part of your employee benefit package (and if it isn’t, ask if it can be added). Know you’d benefit from this course but have financial hardship? Complete this short scholarship application to be considered for a full or partial course scholarship. There’s a Book You Should Read if You’re Eager to Get Started. 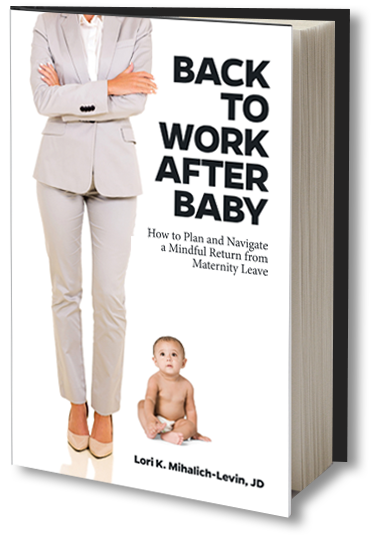 Lori wrote the book on returning to work after maternity leave, and it’s available for you to start reading now. Dig in as you start your nesting phase, or crack it open during a marathon feeding session. The more you dig in, the more you’ll find hope that you can return to work prepared, confident, and ready to rock your new role. When should I sign up for this course? When I’m pregnant? On maternity leave? In the NICU? The mamas who have taken this course have told us that the best time to sign up is when you’re out on leave, no matter how long that leave may be. With that in mind, you can dive in anytime you feel ready to start preparing for your return to the workforce or want some encouragement that you will survive the chaos. When in doubt, sign up for the earlier session. You can always take a later session at no extra cost. Check out our course testimonials to see how mamas at each stage of their journey describe their experience. What if I’ve already read Lori’s book Back to Work After Baby: How to Plan and Navigate a Mindful Return from Maternity Leave? Or what if I’ve already taken a Mindful Return course? Will I get anything out of this new course for moms of special needs children? Yes, you will! There is overlap between the book and other Mindful Return courses where we talk about mindful mindsets, logistics, leadership, and community. But, there are important differences in each area specific to special needs families. More than two-thirds of the material is new or significantly changed to address the demands of being a working special needs parent. Key features found in the online course that are not found in the book include: (1) writing and journaling prompts at the end of each lesson to encourage you to dig deep into the material; and (2) an amazingly supportive community of other working moms with special needs children. There is also additional reading material in the book that is not included in the course. Does it matter how long my maternity leave was? No. The lessons in this course will be helpful to you regardless of whether you took six weeks, six months, or several years off. I’ve returned to work after maternity leave before. Will I still get anything out of this course? Every return is different, just like every child is different. Add in the special needs of your newest child, and you’ll know that the parenting experience alone is vastly different than it was with previous children. When you children with special needs enter the mix, the entire family dynamic changes. Feelings, worries, and demands multiply, causing you to feel like you’re drowning. 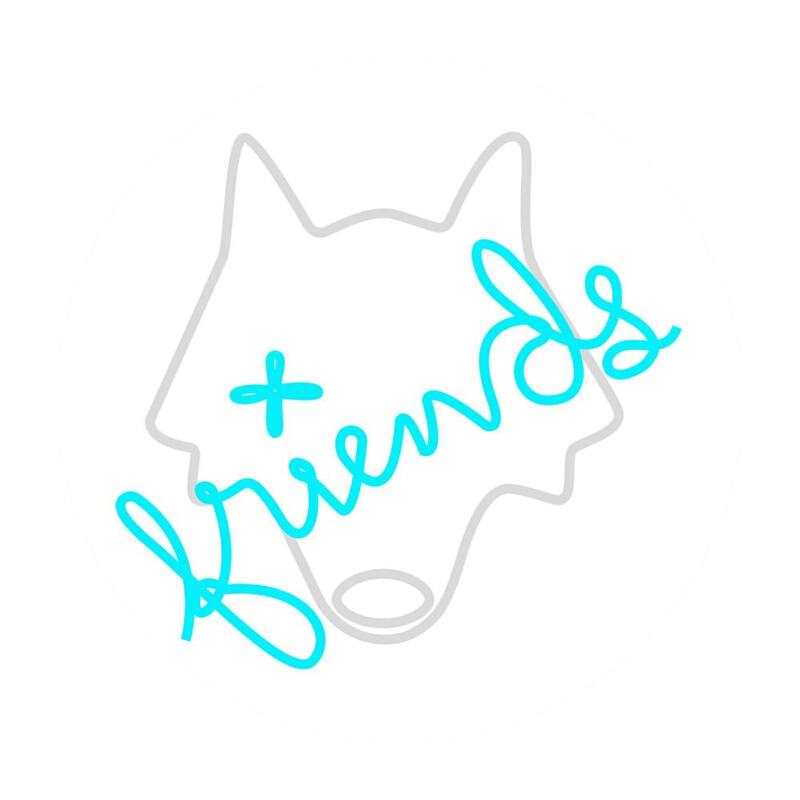 You’re invited to join this community as a testament to those new, and sometimes foreign, feelings of overwhelm. Find out what a second-time-around mama has said about the course here. Is there a particular time of day I need to log in to the course? And can I participate from a mobile device? Any time of day is a good time to log in, read the lessons, and see what other mamas are writing. And yes, the private and secure online platform used for the course (Ruzuku) is accessible via mobile devices. Whether you log in during your metro commute at the beginning of the day, while your newborn is napping, or while you’re feeding your little one in a rocking chair at 3 a.m., chances are, another mama will be following along with you, posting comments at the same time! My schedule is so unpredictable – what if I fall behind with the lessons? This course is designed with the chaos of a working mom’s life in mind. It’s easy to pick up where you left off and go at your own pace. The weekends are always good times to get caught up, too, because there are no new lessons on weekends. Will I have access to the course materials after the course is over? Yes! You will have indefinite access to the course material, on the course’s private Ruzuku page. There will also be an opportunity to stay in touch with your fellow returning mamas after the course is over. How much does the course cost, and what methods of payment do you accept? Joining one of the scheduled sessions of the 4-week, 24-lesson course costs $199. All major credit cards are accepted for payment through the Ruzuku course website using Stripe (like PayPal, only easier to use!). If you know the course would help you, but you have a financial hardship, contact Lori at lori@mindfulreturn.com to discuss financial assistance options. What if I don’t want to go back to work full-time and am more interested in pursuing a side business. Is this course for me? Yes! The course material will help steer you on the best course for you, taking into account your situation, desires, and demands. In addition, we have guest authors in this course with a variety of career paths and stories. You can lean on these women for support, encouragement, and further guidance as you move forward in your career. I’m worried about my privacy. How can you ensure my information stays private? Privacy is paramount to us. All of the discussion and information takes place on a private platform. You can share as much or as little as you’d like. Have a question but don’t want to divulge your first name? No problem. You choose how you show up in this exclusive community. I’m an adoptive mom. Does this course still apply to me? Absolutely! We’ve had many adoptive mamas go through this course to get the same lessons in transitioning back into the workforce after adding a special needs child to their home. Special needs children are those who are born prematurely, have an intellectual or developmental disability, and/or who have a special health care need. Do you have a question that wasn’t answered here? E-mail Lori directly at lori@mindfulreturn.com or Mia at mia@mindfulreturn.com. 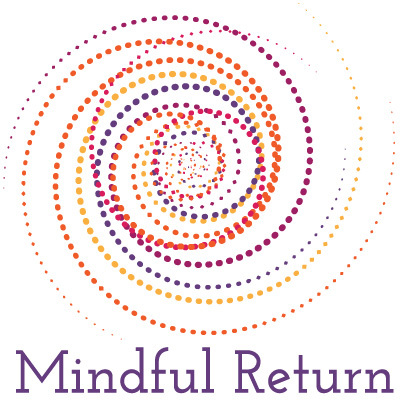 Even if you’re not ready to sign up for Mindful Return yet, we want to keep in touch with you. Sign up to learn more about what it takes to be successful as a working mom, with regular tips, guidance, and support from Lori Mihalich-Levin.